Since 1999, Kuma has been deeply involved in electronic music, pioneering Kuala Lumpur’s Underground music industry and taking Malaysia’s scene to a whole new level through his exceptional DJ sets. With roots established in the Malaysian Underground, Kuma has traveled across Asia and Europe to bring his sound to places like Embassy (Philippines), Sound Club (Thailand), Pontoon (Cambodia), Zouk/Aristo (Malaysia), Womb (Japan) and festivals such as the Full Moon party, LakeDance Festival in Holland and Jungle Experience in Koh Phangan (Thailand). Throughout all of his adventures, he continues to keep the essence of his origins intact, with his signature driving tech beats and rolling rhythms catching the ear of those who are familiar with, or just discovering, his music. His years of experience with rocking the crowd through his sets translates to his many popular guest mixes on FRISKY, including his Artist of the Week and FRISKY Loves Malaysia sets which have reached over 15K. What are you most excited about within the music lately? I’m sitting in the airport writing this interview, I just got back a day ago from Saigon Vietnam playing 2 gigs there and now I’m back at the airport heading to Singapore to play a cool yacht party, what’s excites me is seeing how quickly non mainstream mature electronic music in the Asian region has gain popularity amongst the younger generation, more and more clubs and bars and festivals are taking place nearly every month somewhere in Asia there is a festival or party playing house & techno , this creates more gigs for Djs like us to play a steady movement among the Asian regional Dj’s and I’m very excited to see where this all leads to or what’s more to come. Where are some of your current favorite venues to play at? My all time favorite venue will have to be JUNGLE EXPERIENCE in Koh Phangan, Thailand its a one of a kind truly amazing venue located in the jungle, a open air venue that pack in average of 5k to 8k people every month, I’ve played many smashing sets there for the past 6 years where I’m a regional resident for that festival another will be in Yangon Myanmar for their RUMOURS underground house & techno music party, a new scene is emerging in Yangon and it’s absolutely wild and crazy party to play with a really up for it crowd that comes in early and does not leave till the last songs are played and probably still don’t leave till they are forced to leave the venue, and of course playing at my home base in Kuala Lumpur Thursday’s for the TECHNOIR party at Le Noir, Sweatbox nights at Elysium. What do you like best about playing at home in Kuala Lumpur, and what do you love about being on the road? Playing at home is always fun because you have a familiar crowd that knows me for my sounds that I’ve been playing for years, most already can guess that I’m playing or already started playing as they are walking into the club by hearing the music, it’s more confidence of holding the floor and not to worry much about anything going wrong, basically full on control, they know what to expect if you’re going to a DJ Kuma show, that signature rolling tech beats and driving techno sounds. I love traveling going places it’s thrilling, different airports,hotels meeting new people trying out new food, although most of the times I only get to see the airport, hotel and club not much of site seeing, it’s just makes me feel happy traveling to another country or place to make people dance and be happy. How would you describe your style and energy as a DJ? My style has always had a groove in everything that I choose to play, be it deep or tech or techno it’s groovy and rhythmic it usually starts of with lower bpm and climbing up and I’m always making sure the energy is right on point. 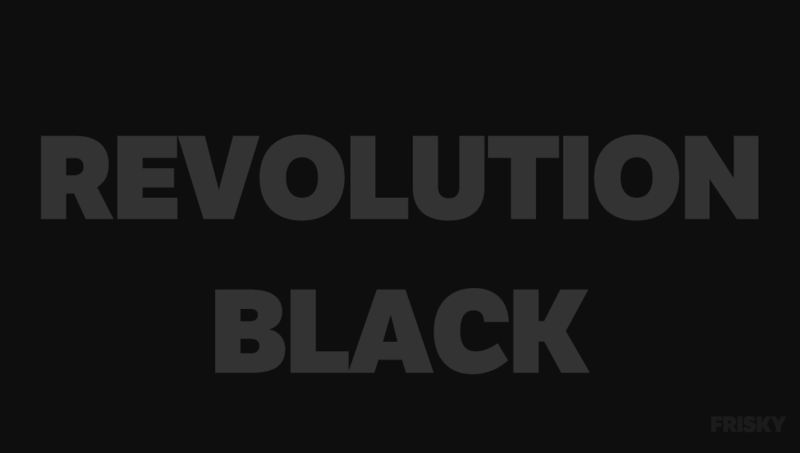 What does “Revolution Black” stand for, and what can listeners expect to hear? You can expect to hear nothing just the best dark driving industrial acid and progressive techno with the likes of Spektre/Julian Juweil/Citizen Kain and much more.